School of Pharmacy 1, Swami Ramanand Teerth Marathwada University, Nanded - 431606, Maharashtra, India. Channabasweshwar Pharmacy College 2, Kava Road, Basweshwar Chowk, Latur - 41351, Maharashtra, India. ABSTRACT: Stability of pharmaceuticals is defined as the ability to retain the quality, purity, Identity, and safety throughout the shelf life of products. It is of main concern because drug substance and products lose its Potency and quality after the time passes, due to change in environmental conditions such as temperature, light, and humidity. It is essential that quality of drugs should maintain throw out the life cycle of drug products for their safe and effective use. The need for constant monitoring of the drug substance and product for their quality and purity has the origin of the development of various stability testing methods. Stability testing now becomes a regulatory requirement for filing NDA and ANDA to USFDA and various regulatory agencies. Stability indicating methods had originated from advancement in various analytical instrument technologies. Stability indicating methods of drug substance and products have the ability for separation, identification, qualification, and quantification of all impurities associated with drug substance and drug product at any storage Conditions to give the exact concentration of drug substance or analyte at any time point over the shelf life of products and beyond. These are helpful to understand the degradation pathways as well as obtaining knowledge about impurities developed during processing which should not be present in drug products or have a specific limit, if present. The present review explored the importance, regulatory requirement, various analytical techniques used and some successfully developed stability indicating methods for different drug substance and drug products. INTRODUCTION: Drug substance is defined as an active ingredient which is used in the treatment and mitigation of various diseases and disorders whereas, drug products are defined as the different marketed formulations present for drug substance to take or easily administered in the patient for showing its required therapeutic effect. Both these required to go through the extensive study of its stability to estimate its shelf life and re-test period. Balance of drug substance and products is nothing but the ability of it to retain its identity, quality, purity during its life cycle with given storage conditions 1. Earlier stability indicating methods had the main focus is given on the estimation of the amount of drug substance present in the marketed preparations. So, such type of testing methods is known as specific stability testing methods. These methods involve the estimation of the amount of drug substance in the presence of other impurities, excipients, degradation products without their separations. The presence of other impurities and degradation products of drug substance may be responsible for the adverse effects of drug products. It makes the given drug product unsafe to use clinically 2. There becomes a requirement to study all impurities associated with drugs and their degradation products thoroughly, along with the normal assay test of drug substance at any given time point. The selective stability testing methods can separate, identify, and quantify the amount of drug concentration along with its degradation products and process impurities 3, 4. USFDA strongly recommends stability testing because some incidence happened in the past which shows the impurities associated with drug shows severe toxic effects, which causes death also. Whenever it is required to produce safe and effective drug products for human use, there is great need of maintains its purity and quality of drug substance at any storage conditions. There should not present any impurity at all in drugs products and if present, should have specific limits such that it should not be responsible for to produce any kind of adverse effects of drug products 5. ICH guidelines have guided the preparation of stability testing protocols for registration of new drug substance and product in USA, Japan, and European Union countries. It provides the requirement of three types of stability testing such as long term stability studies, accelerated stability study and intermediate stability study for four climatic zones. ICH guidelines also guide qualification, identification, and quantification of impurities in drug substances and drug products to determining its thresholds 6, 7. Stability indicating methods are developed to determine the ability of drug stability, i.e. drug can retain its purity, quality, identity drug substance, and drug product underexpose of verities of storage conditions such as temperature, humidity, light. There is three-way of degradation of drug products that are hydrolysis, oxidation, thermal degradation of drugs 8-10. Regulatory Requirement of Stability Indicating Method Development and Validation: Code for federal regulations CFR 211.16 (a) recommends that there should be written protocol for study the drug product stability. CFR 211.137 (a) states that there should be expiration dates bear on the drug product label by evaluating their stability test data. CFR 314.50 (d) (1) (i) states that there should be full study work carried out to determine its chemical and physical stability. CFR 314.50 (d) (1) (ii) indicates that to determine expiration date by using obtained stability data 5. CFR 312.23 (a) (7) (iv) (a) states that to obtain information which is sufficient to support the stability of the drug substance for the study of the toxicology and the planned clinical studies. CFR 312.23 (a) (7) (iv) (b) states that the requirement of information available to assure the product’s stability for proceeding to clinical studies. 21 CFR 312.23 (a) (7) (ii) recommends that stability data are required in all phases of the IND to demonstrate that the DS and DP are retained their quality and purity during proposed clinical investigation 5-7.
International Conference on Harmonization (ICH) is an expert working group to harmonize the technical, regulatory requirement for registration of products of human use in Japan, USA, and EU. WHO, ICH Q1A (R2), ICH Q1B, ICHQ1C, ICHQ1D, and ICH Q1E are the regulatory guidance given for preparing stability data testing protocols, report generation, and evaluation of stability data 11-19. Furthermore, ICH Q3, ICH Q6, and ICH Q7 also include supportive stability data required for registration of drug substance and drug products 20-23. CDSCO is an organization which provides guidance to file NDA and ANDA application within the territory of India. Stability study can be started with a Phase I clinical trial. The stability study work should be complete before phase III of a clinical trial. In the case of BE study, the stability testing should be finished up to the level of phase III of clinical trial 24. Preparing Stability Testing Protocols: Stability testing is carried out in two ways long term stability studies, and short term accelerated stability testing. If any significant change in stability is observed during accelerated stability testing, then intermediate stability study will be carried out. These testing should be carried out on the first three production batches 14. In long term stability studies the four-point testing is carried out (0, 3, 6, 9, 12) quarterly for the first year, biannually in the second year and then annually up to the shelf life of that product. Whereas in accelerated stability testing three-point study (0, 03, 06) is carried out if a significant change in stability observed then the intermediate study is carried out for additional six months (0, 3, 6, 09, 12) 14. Stress testing is also recommended by ICH guidelines but in a nonspecific way, an i.e. increment of 10 ºC after accelerated stability testing conditions (50º, 60º, 70º) and humidity (75% and More) to susceptible the drug product for hydrolysis, oxidative degradation. Photostability study is also carried out in stress testing for possibilities of photodegradation of drug products. Degradation of a drug product under the influence of pH renders the study of acid and base hydrolysis of drug which also came under stress testing. Stability indicating assay methods is useful to study the possible degradation pathway of drug substance and drug products. Forced degradation studies are recommended to study the degradation pathway and knowledge of degrading products of drug substance and their products 25-29. Analytical Instrument used in Stability Indicating Method Development: The advancement in analytical instrument techniques makes it easier to develop the SIM. It should have good separation between the drug substance, its impurities, and degradant products. It should be posse’s high sensitivity towards analyzing of minimum concentration of drug substance. The TLC, HPLC-DAD, HPLC-UV, HPTLC, HPLC-MS, LC-MS/MS, LC-NMR, these are some techniques that have high sensitivity and resolution power to develop the effective stability indicating method 30. TLC method has advantages over HPLC is the volume of mobile phase required is small, large no. of the sample can be analyzed in one single plate by densitometry method. HPTLC has higher sensitivity than TLC but less sensitive than HPLC. HPTLC has advantages over large no of the sample can apply on a single plate, and the amount of mobile phase required is small, so it has cost-effective analysis. HPLC UV method is the most commonly used method for development of stability indicating method, but it has a limit of its detection ability; however it is more sensitive than TLC and HPTLC method. HPLC-PDA or DAD has a wide range of detection. One can determine the wavelength where all impurities, degradant products, and drug substance show absorbance so, it makes easy detection, separation, and quantification of all contaminants, related substances to give exact drug concentration at any time point during its storage. HPLC-MS has higher sensitivity to analyze the small quantity of analyte also. In such a way the HPLC-MS/MS shows to study the fate of a drug in human biological fluids, i.e. drug plasma concentration level. LC-NMR is also a highly sensitive technique to have the ability of separation of enantiomers in which one of them considered as an impurity of drug substance 31. Sample Generation: Suitable sample preparation is important to step in SIAM. Knowing of its drug chemistry, its degradation pathway is essential for the selection of the method. Prepared sample undergoes stress testing so prior sample information of its related products, degradation profile; associated impurities will help in developing effective SIM 68. Method Selection: Method selection depends on its specificity and selectivity; the sensitivity of methods to analyze the given sample. Method selection is based on an extensive literature survey for such likely sample on which methods had already developed in the past. It depends on the ability of method to separate the drug API and its degraded product, associated impurities 69. Method Development: Method development is carried out by choosing the specific column and selecting a mobile phase which can efficiently separate the active constituent and its related product. Method development is may be a trial and error method to optimize the parameters to yield effective separation 70. Method Validation: Method validation is done as per ICH guidelines. Accuracy, precision, linearity, LOQ, LOD, robustness, and ruggedness are the parameters tested on each novel method developed. RSD value should be less than 2% as per ICH guideline 19. CONCLUSION: Stability indicating assay methods now become a regulatory requirement by the FDA because it is related to the safety of drug product. With the development of chromatographic techniques, analytical method development and validation gain importance in recent days because of having high sensitivity, selectivity and have the ability to separate the analyte of interest and its related substances which is useful to develop its limits of specifications in finished products. Conventional testing of the specific analyte of interest is get converted into modern testing of the selective analyte of interest with studying its associated impurities and related products developed during its storage conditions such that one can able to determine exact and precise concentration of the analyte at any time point during its storage. It is required to develop and validate the method to ensure the stability of drug substance and drug products up to its retest period and shelf life of the finished product. Furthermore, it involves the stress testing to know the degradation pathway and stating its limits of specification present in the finished product during its shelf life which results in safe & effective use of the product. ACKNOWLEDGEMENT: The authors are thankful to the School of Pharmacy, Swami Ramanand Teerth Marathwada University, Nanded for support and encouragement. CONFLICT OF INTEREST: The authors declared no conflicts of interest. Chafetz L: Stability‐indicating assay methods for drugs and their dosage forms. Journal of Pharmaceutical Sciences 1971; 60(3): 335-345. Carr GP and Wahlich JC: A practical approach to method validation in pharmaceutical analysis. Journal of Pharmaceutical and Biomedical Analysis 1990; 8(8-12): 613-618. Maggio RM, Vignaduzzo SE and Kaufman TS: Practical and regulatory considerations for stability-indicating methods for the assay of bulk drugs and drug formulations. TrAC Trends in Analytical Chemistry 2013; 49: 57-70. Sood R: Current FDA Thinking on Stability Practices for New Drug Products. Office of New Drug Quality Assessment FDA 22 Oct 2011. Guidance for Industry: Q1A (R2) Stability Testing of New Drug Substances and Products CDER, CBER, USFDA Nov 2003: 01-22. Guidance for Industry ANDAs: Stability Testing of Drug Substances and Products. CDER, USFDA June 2013: 01-05. Charde MS, Kumar J, Welankiwar AS and Chakole RD: Review: Development of forced degradation studies of drugs. International Journal of Advances in Pharmaceutics 2013; 2(03): 34-39. Rawat T and Pandey IP: Forced degradation studies for drug substances and drug products-scientific and regulatory considerations. Journal of Pharmaceutical Sciences and Research 2015; 7(5): 02-38. Shinde NG, Bangar BN, Deshmukh SM, Sulake SP and Sherekar DP: Pharmaceutical forced degradation studies with regulatory consideration. Asian J Res Pharm Sci 2013; 3(4): 178-188. Annex 2. Stability testing of active pharmaceutical ingredients and finished pharmaceutical products. WHO Technical Report Series No. 953 WHO 2009: 87-130. Note for guidance on Stability Testing: Stability Testing of New Drug Substances and Products. CPMP/ICH/2736/99 effective on August 2003, EMEA 2006: 01-20. Guideline on Stability Testing: Stability Testing of Existing Active Substances and Finished Related Committee for Proprietary Medicinal Products (CPMP). CPMP/QWP/122/02, rev 1 corr effective on March 2004. EMEA 2007: 01-18. ICH Q1A (R2). Stability Testing of New Drug Substances and Products. Step 4 version 6 Feb 2003; ICH: 01-17. ICH Q1B. Stability testing: Photostability testing of new drug substances and products. Step 4 version 6 Nov 1996: ICH: 01-08. ICH Q1C. Stability Testing for New Dosage Forms. Step 4 version 6 Nov 1996; ICH: 01-03. Bracketing and Matrixing Designs for Stability Testing of New Drug Substances and Products. Step 4 version 7 Feb 2002; ICH: 01-07. ICH Q1E. Evaluation for Stability Data. Step 4 version 6 Feb 2003; ICH: 01-08. ICH Q2 (R1). Validation of Analytical Procedures: Text and Methodology. Step 4 version Nov 2005; ICH: 01-13. ICH Q3A R2. Impurities in New Drug Substances. Step 4 version 25 Oct 2006; ICH: 01-10. ICH Q3B R2. Impurities in New Drug products. Step 4 version 02 June 2006; ICH: 01-11. ICH Q6A. Specifications: Test Procedures and Acceptance Criteria for New Drug Substances and New Drug Products: Chemical Substances. Step 4 version 06 Oct 1999; ICH: 01-20. ICH Q7. Good Manufacturing Practice Guide for Active Pharmaceutical Ingredients. Step 4 Version 10 Nov 2000; ICH: 01-39. Hotha KK, Reddy SK, Raju VK and Ravindranath LK: Forced degradation studies: Practical approach: Overview of regulatory guidance and literature for the drug product and drug substances. 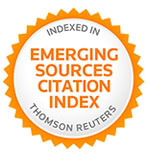 International research journal of Pharmacy 2013; 4(05): 78-85. Venkatesan P and Valliappan K: Impurity Profiling: theory and Practice. Journal of Pharmaceutical Sciences and Research 2014; 6(04): 254-259. Blessy MR, Patel RD, Prajapati PN and Agrawal YK: Development of forced degradation and stability indicating studies of drugs - A review. Journal of Pharmaceutical Analysis 2014; 4(3): 159-165. Bhamare PC, Upmanyu N, Ghosh D, Natarajan S, Rawat P and Umadoss P: Forced Degradation: Review on Analytical Perspectives and Strategies. IJPCR 2016; 5(4): 14-23. Deokate U and Gorde AM: Forced Degradation and Stability Testing: Strategies and Analytical Perspectives. Int. J Pharm Sci Rev Res 2014; 26(2): 242-250. Siddiqui MR, AlOthman ZA and Rahman N: Analytical techniques in pharmaceutical analysis: A review. Arabian Journal of Chemistry 2017; 10: S1409-S1421. Jain A, Shilpi S, Yagnik SK and Khatri K: Stability indicating assay methods and its progression in analytical chemistry. Asian Journal of Biomaterial Research 2015; 1(1): 1-10. Ahmed DA, Abdel-Aziz O, Abdel-Ghany M and Weshahy SA: Stability indicating the determination of Albendazole in bulk drug and pharmaceutical dosage form by chromatographic and spectrophotometric methods. Future Journal of Pharmaceutical Sciences 2018; https://doi.org/ 10.1016/j.fjps.2018.02.001. Dey S, Patro SS, Babu NS, Murthy PN and Panda SK: Development and validation of a stability-indicating RP–HPLC method for estimation of atazanavir sulfate in bulk. Journal of Pharmaceutical Analysis 2017; 7(2): 134-140. Patel RB, Patel MR and Mehta JB: Validation of stability indicating high performance liquid chromatographic method for estimation of Desloratadine in tablet formulation. Arabian Journal of Chemistry 2017; 10: S644-S650. Bhinge SD and Malipatil SM: Development and validation of a stability-indicating method for the simultaneous estimation of cefixime and dicloxacillin using the RP-HPLC method. Journal of Taibah University for Science 2016; 10: 734-744. Khan A, Syed SI, Mohd A, Sultana Y, Asgar A and Khan K: Design of experiment based validated stability indicating RP-HPLC method of temozolomide in bulk and pharmaceutical dosage forms. Beni-Suef University Journal of Basic and Applied Sciences 2016; 05: 402-408. Hashem H, Ibrahim AE and Elhenawee M: A rapid stability indicating LC-method for determination of praziquantel in the presence of its pharmacopoeial impurities. Arabian Journal of Chemistry 2017; 10: S35-41. Hamrapurkar P, Patil P, Phale M and Sharma A: Development and Validation of a Stability-Indicating Assay (HPLC) Method for quantitative analysis of Prulifloxacin in Bulk Drug. Journal of Innovations in Pharmaceuticals and Biological Sciences 2015; 2(3): 300-311. Pathy K: Route evaluation and Analytical HPLC method development of Buprenorphine, Nalaxone and comparison overall efficiency of naltrexone and nalbuphine traces the evolution of various approaches. Scholarly Journal of Food & Nutrition 2018; 01: 01-18. Abdelwahab NS and Abdelaleem EA: Stability indicating RP-HPLC method for simultaneous determination of guaifenasin & pseudoephedrine hydrochloride in the presence of syrup excipients. Arabian Journal of Chemistry 2017; 10: S2896-S2901. Gadewar CK, Sahu Y, Chandewar AV, Baghel P and Kushwaha D: Stability indicating method development and validation of assay method for the estimation of rizatriptan benzoate in a tablet. Arabian Journal of Chemistry 2017; 10: S2067-S2072. Reddy KS, Srikanth J and Vanitha PK: Development and validation of stability indicating method for the quantitative determination of doxorubicin hydrochloride and its related impurities in pharmaceutical dosage forms using RP-HPLC. Journal of Chemical and Pharmaceutical Research 2015; 7(7): 715-724. Kumar BS, Annapurna MM and Pavani S: Development and validation of a stability indicating RP-HPLC method for the determination of Rufinamide. Journal of Pharmaceutical Analysis 2013; 3(1): 66-70. Belal TS, Ahmed HM, Mahrous MS, Daabees HG and Baker MM: Validated stability-indicating HPLC-DAD method for determination of the phosphodiesterase (PDE-4) inhibitor roflumilast. Bulletin of Faculty of Pharmacy, Cairo University 2014; 52(1): 79-89. Sneha P and Srinivas P: Stability Indicating Assay Method Development and Validation of Pregabalin in Pharmaceutical Dosage Forms by RP-HPLC. Indo American Journal of Pharmaceutical Sciences 2015; 2(6): 1038-1047. Belal TS, Abdel-Hay MH, Sabry SM and Mahgoub AA: HPLC-DAD stability indicating the determination of nizatidine in bulk and capsules dosage form. Bulletin of Faculty of Pharmacy, Cairo University 2013; 51(2): 185-191. Satheeshkumar N, Spandana V, Shantikumar S and Srinivas R: Experimental design approach to optimize stability indicating liquid chromatography method for the determination of naftopidil in it's bulk and tablet dosage form. Journal of Young Pharmacists 2014; 6: 1-7. Razzaq SN, Ashfaq M, Khan IU, Mariam I, Razzaq SS and Azeem W: Simultaneous determination of dexamethasone and moxifloxacin in pharmaceutical formulations using stability indicating HPLC method. Arabian Journal of Chemistry 2017; 10(3): 321-328. AlAani H, Alashkar I and Karabet F: Development and validation of stability-indicating RP-HPLC method for the determination of levocabastine HCl in bulk drug and in ophthalmic suspensions. Arabian Journal of Chemistry 2017; 10: S3097-S4007. Shaalan RA, Belal TS, El Yazbi FA and Elonsy SM: Validated stability-indicating HPLC-DAD method of analysis for the antihypertensive triple mixture of amlodipine besylate, valsartan and hydrochlorothiazide in their tablets. Arabian Journal of Chemistry 2017; 10: S1381-S1394. Henriques BO, Saude-Guimaraes DA, Caldeira TG and Souza JD: Development and validation of a stability indicating a method for quantification of the sesquiterpene lactone eremantholide C from Lychnophora trichocarpha (Brazilian arnica). Revista Brasileira de Farmacognosia 2017; 27: 52-59. Korany MA, Haggag RS, Ragab MA and Elmallah OA: A validated stability-indicating HPLC method for simultaneous determination of Silymarin and Curcumin in various dosage forms. Arabian Journal of Chemistry 2017; 10: S1711-S1725. Mastanamma SK, Chanidini SK Reehana SK and Saidulu P: Development & validation of stability indicating RP-HPLC Method for simultaneous estimation of Sofosbuvir and ledipasvir in bulk & their combined dosage form. Future Journal of Pharmaceutical Science 2017; https://doi.org/10.1016/j.fjps.2017.11.003. Mathew EM, Ravi A, Nalawade R, Moorkoth S and Bhat K: Development and validation of analytical method for related substances in n-acetyl-L-cysteine effervescent tablets by RP-HPLC. Indian Journal of Pharmaceutical Education and Research 2017; 51(04): 626-636. Elzayat EM, Ibrahim MF, Abdel-Rahman AA, Ahmed SM, Alanazi FK and Habib WA: A validated stability-indicating UPLC method for determination of diclofenac sodium in its pure form and matrix formulations. Arabian Journal of Chemistry 2017; 10: S3245-S3254. Sahu K, Shaharyar M, Siddiqui AA and Sahu S: Establishment of inherent stability on piracetam by UPLC/HPLC and development of a validated stability-indicating method. Arabian Journal of Chemistry 2017; 10: S576-S582. Rao PSP, Cholleti VK and Reddy VR: Stability indicating UPLC Method for determining related substance and degradant in Rivaroxaban. International Journal of Research in Pharmacy & Science 2015; 5(02): 17-24. Patel PU, Pasa TY, Thakor KA and Chauhan RJ: Development and validation of stability indicating assay method for the simultaneous estimation of ofloxacin and ornidazole in tablet dosage form by UPLC. International Journal of Pharmaceutical Science and Drug Research 2015; 7(04): 365-369. Nemitz MC, Yatsu FK, Bidone J, Koester LS, Bassani VL, Garcia CV, Mendez AS, von Poser GL and Teixeira HF: A versatile, stability-indicating and high-throughput ultra-fast liquid chromatography method for the determination of isoflavone aglycones in soybeans, topical formulations, and permeation assays. Talanta 2015; 134: 183-193. Yeole PP, Wani YB, Khadse SC and Surana SJ: Stability-indicating assay method for desonide in bulk and pharmaceutical formulation by HPTLC. Future Journal of Pharmaceutical Sciences 2017; 3(1): 18-22. Chavhan ML, Shirkhedkar AA and Surana SJ: Development and validation of a stability indicating RP-TLC/densitometric method for determination of Loratadine in bulk and in Arabian Journal of Chemistry 2017; 10: S825-S830. Bassuoni YF, Elzanfaly ES, Essam HM and Zaazaa HE: Development and validation of stability indicating TLC densitometric and spectrophotometric methods for determination of clobetasol propionate. Bulletin of Faculty of Pharmacy, Cairo University 2016; 54(2): 165-174. Al-Ghannam SM and Al-Olayan AM: Stability-indicating HPLC method for the determination of nicardipine in capsules and spiked human plasma. Identification of degradation products using HPLC/MS. Arabian Journal of Chemistry 2014. https://doi.org/10.1016/j.arabjc.2014.11. 044. Kancherla P, Velpuri V, Alegete P, Albaseer SS, Khagga M and Das P: LC–MS/MS characterization of the forced degradation products of ezetemibe: Development and validation of a stability-indicating UPLC method. Journal of Taibah University for Science 2016; 10(1): 148-160. Sawant S and Ghante M: A validated stability indicating RP-HPLC method for Simvastatin, identification and characterization of forced degradation products of Simvastatin using LC-ESI-MS/MS. Advances in Analytical Chemistry 2015; 5(1): 8-16. Devrukhakar PS, Shankar MS, Shankar G and Srinivas R: A stability-indicating LC-MS/MS method for zidovudine: Identification, characterization and toxicity prediction of two major acid degradation products. Journal of Pharmaceutical Analysis 2017; 7(4): 231-236. Prathap B, Rao GH, Devdass G, Dey A and Harikrishnan N: Review on stability indicating HPLC method development. 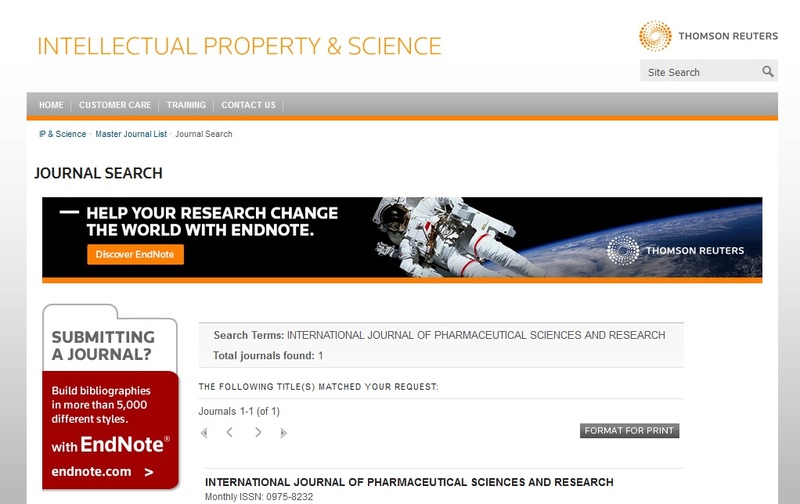 International Journal of Innovative Pharmaceutical Research 2012; 3(3): 229-237. Saimalakondaiah D, Kumar VR, Reddy TR, Ajitha A and Rao VU: Stability-Indicating HPLC Method Development and Validation. International Journal of Pharma Research & Review 2014; 3(10): 46-57. Quadri SS, Sonwane LV, Poul B and Kamshette S: Review on Stability Indicating Assay Methods (SIAMs). Pharma Tutor 2014; 2(8):16-31. Kanthale SB, Thonte SS and Supekar BB: Development of stability indicating assay method: a review. Int J Pharm Sci & Res 2019; 10(4): 1625-31. doi: 10.13040/IJPSR.0975-8232.10(4).1625-31. Authors Address: School of Pharmacy, Swami Ramanand Teerth Marathwada University, Nanded, Maharashtra, India.